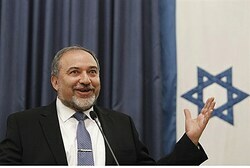 Foreign Minister Avigdor Liberman praised US Secretary of State John Kerry Friday, criticizing Economics Minister Naftali Bennett’s (Jewish Home) attack on the US diplomat’s handling of peace talks. Liberman is referring to comments made by Bennett Thursday slamming the US framework for talks, noting that US policy mistakes have damaged Israel several times over the past several decades. However, Bennett did not attack Kerry himself over the remarks; he simply stated that Israel would prefer to take matters into its own hands. In contrast, Liberman’s fellow Likud Beytenu MK, Defense Minister Moshe Ya’alon, famously kicked up a storm after calling Kerry “obsessive and messianic” earlier this year. Liberman also lambasted Meretz party chairman Zahava Gal-On over her accusation that Prime Minister Netanyahu was “using” PA incitement as an excuse to derail talks. “Meretz and Zahava Gal-On have to decide whether or not they are a party of Arabs in Israel or are a Zionist party,” he fired. Gal-On has failed to condemn the Palestinian Authority’s (PA) ongoing incitement and has even invited senior Fatah member Jibril Rajoub, who threatened to use a nuclear weapon against Israel, to Meretz’s national conference. She later blasted the Defense Ministry for preventing Rajoub’s participation at the conference, to which Defense Minister Moshe Ya’alon replied that he had decided to block Rajoub’s entry to Israel because of his constant incitement against the Jewish state.